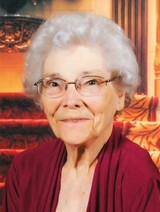 For the Anderson Family: I want to offer condolences on the death of your dear love one, Dorothy Mae Anderson. I know that death is a lasting sting and hard for people to deal with, so I hope these words brings your family comfort during this time. In the near future, our loving father Jehovah offers hope to mankind that will permanently get rid of death for all mankind and resurrect all individuals who have fallen asleep in death onto a paradise earth. That hope can be found at the scripture found at Revelation 21:3, 4. This new condition will be formed as a paradise on earth in which individuals on earth will have a chance to live forever on earth under Jesus Christ rule. We will no longer suffer the consequences of our forefathers Adam and Eve. Isaiah 33:24 helps us to appreciate that, “No resident will say I am sick.” Isn’t that a wonderful promise? In this paradise earth, it will be filled with peace, love, good health, happiness, a clean beautiful environment, no crime, and best of all no death. Jehovah god will bring that blessing to mankind soon. Also, if you are interested in learning more about the hopes laid out for mankind and obedient humans, please take the time to visit JW.ORG and scroll to the bottom and go to Quick links, and under that heading click on Request a Bible Study and someone will get back to you as soon as possible. Also, while you are on there, browse the website that offers help on various topics such as ’ Why do we die? What hope is there for the Dead? Who is Jehovah God and his son Jesus Christ?